Passion Fruit and Papaya Fat Free Soft Cheese (Quark) with sugar and sweetener. Farmer Owned - Care in every step, from cow to you. 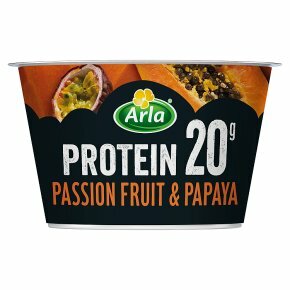 20g protein per pot. Suitable for vegetarians.